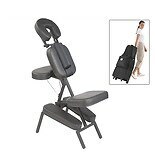 Shop MHP Apollo Massage Chair with Wheeled Case (1 ea. )1 ea. Consider investing in massage chairs to release tension in your body. Whether you are on the hunt for a robotic chair for your home or are a masseuse in need of massage pads for your clients, there are plenty of massage chairs and products available to you. With comfortable massage cushions and adjustable support features, both robotic massage chairs and traditional massage equipment can make a great addition to your home. In order to get the best massage, you need the proper equipment. 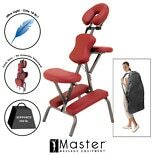 There are a myriad of different chairs available, including the Master Massage chair, which makes it easy to position a client for a number of massage types. Massage cream is also an essential tool, as it can be used to help enhance the massage experience and alleviate pain by lubricating the surface of the skin and softening dry patches.